there is a cute little town just a few miles away. morning and most of the town was either sleeping or in church. to give wheeling another chance. 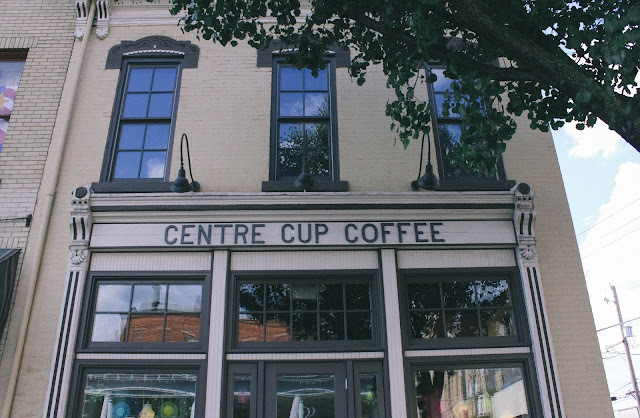 we found centre cup coffee through urbanspoon. this cozy little shop sits on the corner of a street lined with antique stores and flower shops. we enjoyed the peaceful afternoon together and will definitely be back for more days like this. your post always give me a warming feeling, and this coffee shop sounds wonderful! and what a cute little town.